Oftentimes, all it takes to help an impaired animal get back on her feet is just a bit of creativity - and maybe some cardboard. The good folks at the California Wildlife Center (CWC) recently came to the rescue of a mockingbird who needed just that sort of assistance. 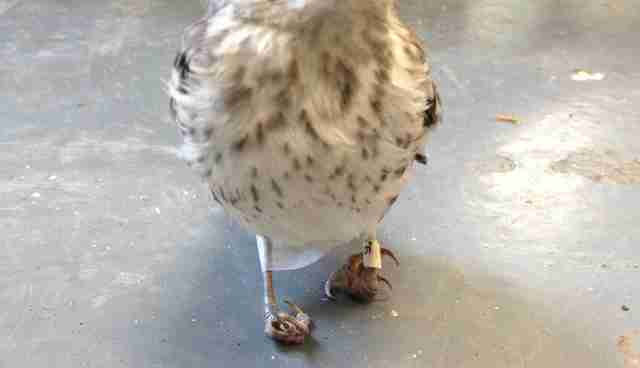 An unknown injury had caused her feet to knuckle, a common condition in young birds that makes it difficult for them to perch, grasp objects or even walk around. 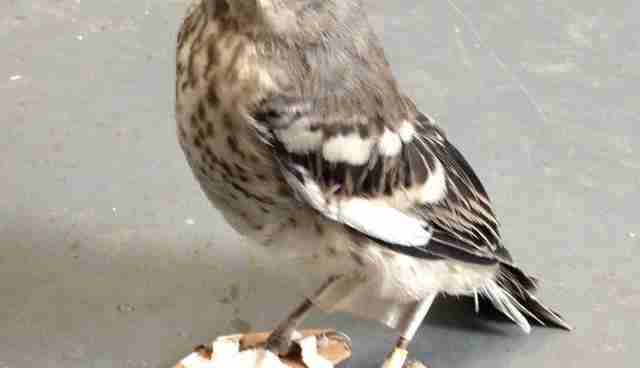 Rescuers simply crafted the bird a pair of tiny "snowshoes." "We needed to train her feet back to how they should be," CWC veterinarian Duane Tom told The Dodo. "Essentially, we used pieces of cardboard to tape her toes into their proper position. It usually takes a week or two of wearing the snowshoes before their feet are back to normal." We're happy to report that the mockingbird's feet were successfully treated thanks to that cute bit of ingenuity - so things are now looking up for her. As Tom notes, nearly all the birds treated for knuckled feet at CWC are able to be released back into the wild. Click here to find out how you can help support rescues like this one.